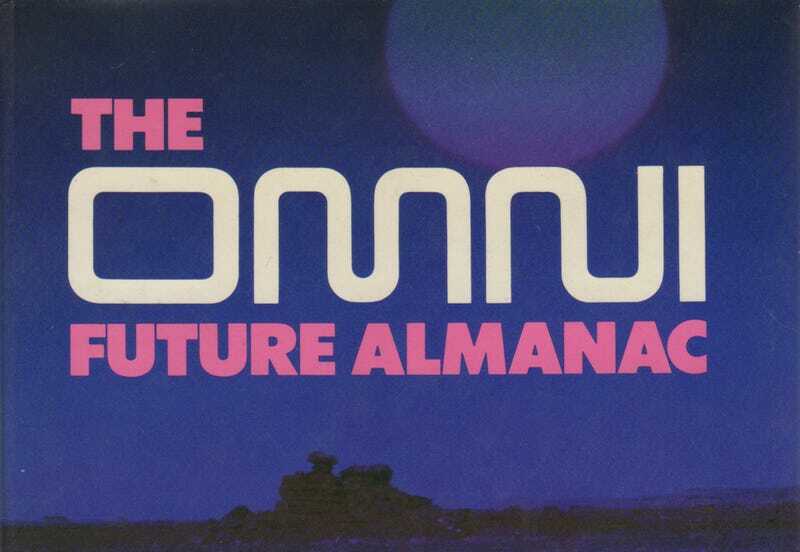 The Omni Future Almanac was published in 1982 — a year when America would see double-digit inflation and double-digit unemployment. Despite all this, the authors of the book were generally optimistic about the future of the nation. Technology, they explained, would solve many of the problems facing the country. In conjunction with this, the American people would surely worker smarter and simplify their lives, all while improving everyone’s standard of living. By 2000, most Americans will be experiencing a new prosperity. The problems of shrinking energy supplies and spiraling costs will be offset by developments in computers, genetic engineering, and service industries that will bring about lifestyle changes that will in turn boost the economy. Basically, Americans will be able to simplify their lives and spend less money supporting themselves. Indeed, energy conservation will force Americans to become more resourceful fiscally and to spend less on many items. But what about prices of the future? That double-digit inflation stoked fears that prices for common food items in the future would skyrocket. The average price of a pound of beef in the year 2010? The book predicted it would be $22.75. The actual cost? About $3.75. The prices of a loaf of bread? They predicted it would hit $8. Actual cost? About $2.50. But which single commodity did they predict would level out in the 21st century? Somewhat shockingly, gasoline. That’s right, the book predicted that a gallon of gas (which cost about $1 in 1980) would peak at $4 in 1990 and then level off to $2 not only in the year 2000 but maintain that price into the year 2010 as well. But those staggering prices for basic sustenance doesn’t look quite so scary when you consider what they thought the average American would be paid. A secretary of the year 2010? $95,000. A factory worker? $95 an hour. Of course, wages for secretaries, factory workers and public high school teachers haven’t even kept pace with inflation. But at least a subway ride isn’t yet $20.